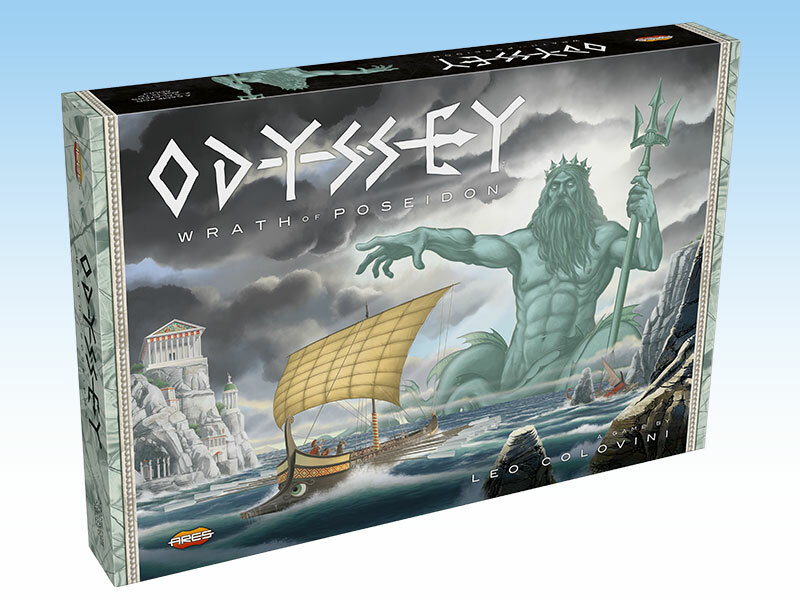 In January, the new "Euro" game by Ares, Odyssey – Wrath of Poseidon is in stores. This new deduction game is designed by Leo Colovini, renowned and prolific board game designer. Born in Venice, Italy, Colovini is author of about 100 games published since 1986, among them “Cartagena," “Carolus Magnus,” “Clans,” “Alexandros,” “Carcassone: The Discovery,” “Atlantis,” “Aztlán,” and “Inkognito” (the latter two also published by Ares Games). Let’s find out more about Leo in this interview. 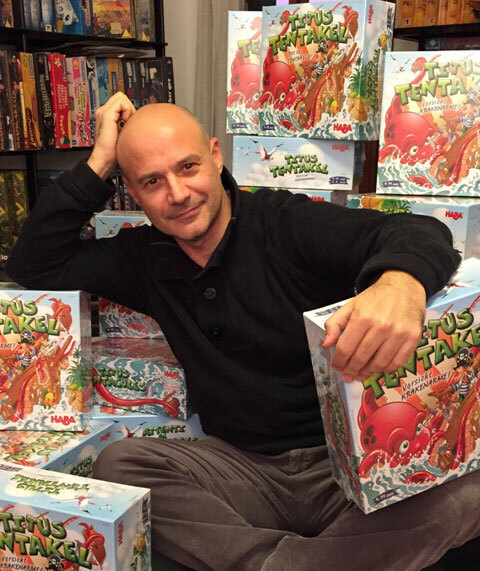 The game designer Leo Colovini. Leo Colovini (LC): I honestly do not remember the exact age. I always played as a child with a brother who was 5 years older. We often played “Risk” and “Subbuteo,” but we also played other games, like “Concilia” and “Cheyenne” by Clementoni. LC: Ever since I was a kid, I loved changing the games I had and creating new ones, but it was just a hobby. I never thought it would become a job. Then one day, a middle-aged American gentleman, who was a member of my chess club (at that time I was about 10 or so), taught us to play “Mad Mate,” a cross between “Western Chess” and “Japanese Chess.” It was amazing to discover he had invented that game. His name was Alex Randolph - I had the good fortune to meet the world's most senior game designer... the one who invented the very concept of "game author"! It was as if an aspiring filmmaker met Spielberg or a musician met Peter Gabriel. So, I began to go to his studio, as playtester, but then, little by little, I also began to show him my ideas, and he encouraged me, sensing that, in the confusion typical of a 10 year old child, a propensity for that career was hiding. In 1986, several years later, we published together “Drachenfels” and two years later, “Inkognito”. Ares: You've been working full time with games since 1993. What allowed you to take this step, and how about this experience? LC: In 1993, for family reasons, I decided to leave my safe and well-paid job at the bank. I opened, along with some friends (Dario De Toffoli, Francesco Nepitello and Marco Maggi), a “Città del Sole” toys and games store in Mestre (near Venice) and devoted myself to the store management. The work of game designer was still little more than a hobby, but I had taken a step forward and I lived by selling games and toys, instead of counting other people's money. Then, in 2000, I left the shop management (over time, they had grown to three stores) to other shareholders and I dedicated myself full time to my games. Ares: Which are the major references in your work – literature, movies and games? LC: Whatever. I do not have a privileged source of inspiration. I probably draw from my personal culture and studies. Many games of mine have, in fact, have a historical theme. But sometimes, it simply happens that a particular situation reminds me of a mechanism or a theme. For example, when I developed “Clans" I was in a crowded bus and this made me think about the creation of the universe, the elementary particles that joined each other. This was the genesis of the main mechanism of the game, but during development, the theme became completely different. Odyssey - The Wrath of Poseidon, a new deduction game by Colovini. LC: In 80% of cases, I start from a mechanism, in a few cases from a theme. Ares: Do you enjoy to play your own games after they are published? LC: I hardly ever play them. Once I sign the license agreement, I tend to forget my games to focus on new ideas. Ares: Looking at the games you have designed, do you have a favorite? Which one and why? LC: I am working on several projects: some are my games, others are games invented by other authors that I'm helping to fine tune. I'd rather not talk about them until they have found a publisher! LC: I invite everyone to participate in Premio Archimede, a competition for games authors we (Studiogiochi) organize every two years and includes, in its jury, representatives of nearly all major German companies. It’s an unique opportunity to get to be published. 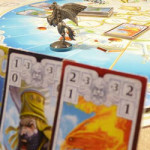 The winner of the 2012 edition was “Marco Polo,” which won both the “Deutscher Spiele Preis” and the “International Gamers Award” in 2015.